Thanks for taking the time to gather a bit more about our office and our desire to be a part of your wellness team. Our office was established with one primary focus, to walk alongside the people in our local community and help them to achieve the highest level of wellness possible. Whether you visit our office for lower back pain, neck pain, headaches, herniated discs, sciatica, spinal traction, disc decompression, arthritis, or car accident injuries, we want to be your local chiropractor. As a doctor of chiropractic, the way we see the world of healthcare is through the lens of “wellness.” Wellness, as it depicts health care, is a model that states, “An Ounce Of Prevention, Is Truly Worth A Pound Of Cure.” Yes, the line is a cliche, but that does not make it any less real, especially when it concerns your health. Pain is typically the reason many people seek medical treatment, but it is indicative of a problem that existed well before it began to hurt. Treatment usually tries to get rid of the pain first, worrying about the underlying cause later. As a result, many treatments do nothing to address the underlying issues. You can consider a patient who has just come out of surgery as an extreme example of this concept. Whatever tissue has been operated on definitely is not entirely healed yet, but the patient is not experiencing any pain because the morphine IV drip prevents them from feeling it. There is real damage, but no pain. If the patient tried moving around, there would be a significant risk of re-injuring the damaged tissue despite the lack of pain. It’s the same with neck or back pain. Feeling better in the moment is not synonymous with the problem being completely solved. Therefore, you should take the time to follow through on your doctor’s recommended care program. In the end, it will save you time, money, help you prevent re-injuries, and help you live the wellness lifestyle. In this era of increasingly severe side effects, millions of Americans are turning to drug-free chiropractic care in their quest for Wellness, including top athletes, economists, and government leaders. A testimony to the effectiveness of chiropractic care was revealed in a recent study, which found that over 30 million Americans sought the care of a doctor of chiropractic in the last year! A recent Gallup Poll of chiropractic patients sponsored by the American Chiropractic Association (ACA) revealed some fascinating results about patients’ opinions of the care they received. An incredible 73 percent felt that most or all of their expectations were met, while 80 percent were happy with the chiropractic services they received. 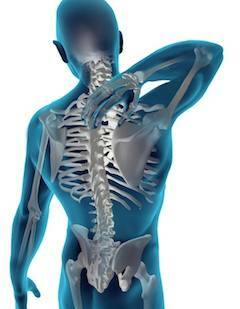 Most importantly, 90 percent of chiropractic patients determined their chiropractic treatment was effective. Combining chiropractic treatment with other health care considerations, such as diet and lifestyle changes, indeed provides the path to Wellness that today’s culture is looking for. 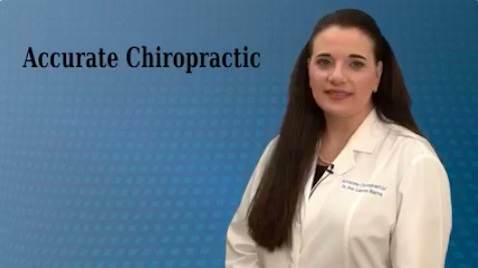 If you live in Brooksville, Spring Hill or Weeki Wachee and have questions regarding chiropractic care or the many health care conditions that you find on our website, please call our office or use the “Ask the Doctor” link on the bottom of our homepage. Thank you once again for visiting us, and we look forward to helping you get started on your road to wellness!